The IL&FS default and the consequent liquidity squeeze has been a perfect storm for the shadow banking sector in India. Though the liquidity squeeze has abated to an extent, this event marks a structural change for the sector going forward, says Pankaj Murarka, Fund Manager and Founder of Renaissance Investment Managers, in an interaction with Swati Verma. What's your takeaway from the IL&FS crisis that triggered a massive sell-off in NBFCs? There was significant froth in the shadow banks (NBFCs) in India. Before the crisis came to light, it was very easygoing business for them in India. Liquidity was in abundant supply to borrow for short-term and then lend to riskier borrowers including real estate developers for a longer tenure and run a significant mismatch on the asset-liability portfolio in their balance sheet. Moreover, at that time equity market as well as the NBFC sector was doing well. Hence, it was easy for them to build such a loan book and then go to equity market and raise equity capital at a significant premium to their net worth/book value. But, now that whole cycle has come to an end. From here on, there will be a differentiation between men and boys in the NBFC sector. Financial institutions such as banks and mutual funds will be very circumspect in lending to NBFCs. They will certainly look for good pedigree and track record of risk management. As a result, I feel the sector will go through a massive consolidation where smaller NBFCs will be absorbed in the larger ones. What's your view on public sector banks? Do you see a phenomenal change in them after capital infusion? Government has given the state-run banks regulatory capital to take care of their bad loan provisioning. It has not given them growth capital. So, after all the NPA provisioning, they will have sufficient capital just to meet regulatory requirement. After capital infusion, most banks are out of RBI's PCA framework. However, if they want to grow and prosper from here on, they need to raise capital from markets. And, capital market would want to see there is fundamental change in the way these banks run, in terms of their risk management and things alike before they lend money. So, we need fundamental reforms in these banks. What's your take on NHB's proposal of raising capital adequacy ratio of HFCs (housing finance companies)? It's a welcome step. The regulator should have been done it much earlier. Many NBFCs and HFCs were indulging in a lot of riskier lending. Hence, it's a positive development. Moreover, I also feel that regulatory oversight on NBFCs should be much stronger than what exists, at present. What's your sense on market scenario? I am positive on domestic equity markets. It's true that we have underperformed global peers in the last six to eight months, due to several headwinds including geopolitical tensions, NBFC crisis and promoter leverage in some large companies. However, I feel some of those headwinds are behind us and market is taking support from the assumption that the present NDA government will come back post general elections. If that comes true, market will surely catch up and even outperform some of its regional peers. Also, we are coming out of a prolonged earning recession that we have witnessed in India. Over the last 10 years (FY2009-FY2019), Nifty earnings have grown at a compound annual growth rate (CAGR) of 8 per cent which is much below the nominal GDP growth and one of the weakest earnings growth that we have seen over a decade. The 10 years prior to that -- 1998-2008 -- Nifty had an earnings growth of 15 per cent. Next Financial Year (FY2020), we will see strong earnings growth and after a gap of eight years, we will get 20 per cent plus growth in the index. One of the biggest drags on earnings over the last four-five years was bad loan problem in banking sector and stalled projects across core sectors of the economy. But, now, we are at the end of that cycle. In the last two-three quarters, large banks have reported good set of numbers. They are making incremental provisions much more than what they require on regulatory basis. These banks will revert to normal profitability by FY20 and once that happens, it will drive the overall delta in corporate earnings. In addition, good economic health and NCLT resolutions will help boost the earnings growth. Your view on real estate industry. The recent GST tweaks are a bit positive for the sector, as a whole, but the fact remains that real estate sales have remained sluggish and inventories in key metro cities are at an all-time high. We need moderation in prices to clear the inventory. In addition, with the recent squeeze in NBFCs, real estate developers are facing challenges to receive funding. But, it’s a very important sector from economy perspective because it accounts for about 8 per cent of India's GDP.RERA (Real Estate Regulatory Authority) Act has been transformative. It's in early days but once, itcomes in full swing, it will bring about a notable change for the industry. Sectors/stocks you are bullish on and why? We like corporate banks because we think they are at the end of the NPA recognition cycle and huge provisioning that they were doing. From here on to next three-five years, they will do very well. We also like industrials as we believe investment cycle will come back, capex will accelerate and as a result of which, capital goods, engineering and industrial sectors should do well from medium-term perspective. Apart from this, we also like the CRAMS (Contract research and manufacturing services) story in pharma space. What has been your investing strategy in last 12-18 months? How your portfolio has performed? As investors, we are growth investors and our investment philosophy is to invest into companies that can deliver “Sustainable Quality Growth at Reasonable Price (SAGARP). We endeavor to deliver superior risk adjusted returns by focusing on good quality business which have low volatility. Our portfolios have done exceedingly well. We have not been impacted significantly despite the sharp sell-off in midcap and small-cap because we are focused on very high quality companies. As a result, our performance has been pretty healthy and we haven't witnessed any redemption as such. In his two-decade career as an asset manager, Pankaj Murarka hasn’t shied from calling time on Indian stocks. While Murarka’s current fund is small, he has a long history in money management, beginning his career in 1998, a few years after the Indian asset management industry took shape. During his stint at Axis Asset Management Co., his Long-Term Equity Fund returned 20 percent annually during the six years through 2015, compared with a 9.2 percent gain in the benchmark S&P BSE 200 Index. The S&P BSE Sensex was one of the world’s few benchmark equity gauges to rise last year, delivering an almost 6 percent gain for its third straight yearly advance, even as an index of emerging-market equities plunged almost 17 percent. In fact, the measure of Indian equities has almost quadrupled since the financial crisis. Still, Murarka thinks the best is yet to come. Murarka was among the founding team at Axis, which he joined in 2009 and helped build into a 450 billion rupees ($6.3 billion) firm by the time he left in 2016 as head of equities. Murarka founded Renaissance in December 2016. The investment house oversees almost $25 million of assets. He tends to pick companies with a dominant market share that are likely to take a “disproportionate share of the profit pool.” His mid-cap fund dropped 9 percent in 2018, compared with a 15 percent fall in the Nifty Midcap 100 Index, while his multi-cap fund slid 4 percent versus a 1 percent decline in the NSE Nifty 200 Index, according to Murarka. Only a reversal in India’s economic policy would give him sleepless nights, he says, and that’s unlikely to happen. He thinks India can gain from the U.S.-China trade war by serving as a substitute destination for global supply chains dominated by China. Indian economy is at an important inflection point. Inflection Point is the point at which the curve changes from being concave (downward) to convex (upward). In order to appreciate the point of inflection for the Indian economy, we need to step back and understand things in retrospect. The fiscal stimulus injected in the Indian economy in the aftermath of the global financial crisis and India’s inability to withdraw it in timely manner drove India into vicious economic cycle during 2009 to 2013 with high fiscal deficit, slowing growth, sharp depreciation of the INR by 28% in 2013. India’s macro- economic fundamentals were comparable to the weakest global economies and she became the part of the Fragile Five club. Thus, India’s macroeconomic fundamentals moved 180 degree from being the country with strongest fundamentals in 2007 to the weakest in 2013. It’s been significant hard work over the last 5 years in restoring India’s macro-economic stability and getting it back on path of high growth with moderate inflation. The last 5 years have been a painful transition for the Indian economy during which India endured the worst industrial recession since 1991, below potential economic growth and significant disruption caused by structural reforms. India’s IIP growth for the last 5 years averaged at 3.9% compared to long term average of 6.3% and the peak IIP growth of 15% in 2007. India has not experienced such sluggish industrial growth for such a prolonged period of time in the post liberalization era since 1991. There has been a secular decline in the savings rate and investment cycle had completely broken. Investment rate declined from 38% of GDP in 2012 to 31% of GDP in 2018. The pain of the economy has been lying on the balance sheets of the banks with the industry level gross stressed assets rising to cyclical high of 15% and 30% of total industrial credit turning stressed. The twin balance sheet challenges along with the impending fiscal prudence led to sharp moderation in overall growth and a first time ever contraction in industrial credit in Fy2016-17. From a corporate perspective, this has essentially meant an earnings recession with corporate profit growth trailing nominal GDP growth for 10 years and corporate profit to GDP at a cyclical low of 3.5% from the peak of 7.8% in 2007. But, over the last few years, apart from fixing India’s macro-economic imbalances, we have executed several structural reforms including the Goods and Service Tax, the Insolvency Bill, Real Estate Regulatory Authority, Direct Benefit Transfer to name a few. Also, we have changed the goal post for monetary policy with explicitly stating “Inflation Anchoring” as its primary objective, setting up inflation band of 4%-6% for the MPC and transitioning India from a relatively high inflation economy to moderate inflation economy. As a result of all this, Indian economy has reached an important inflection point in this cycle. India’s macroeconomic fundamentals are stable and inspire confidence. We are the peak of the NPA cycle in the banking system and going forward lower provisioning should create fresh lending capacity in the system. Public investments are accelerating at both the central and state government levels and we are seeing healthy recovery in industrial capex. The order book for leading companies in capital goods industry has been growing at teens for last four quarters indicating revival in industrial capex. The resolution of stress assets over the next year should provide fillip to brownfield investments. Capacity utilization is increasing and should reach the threshold of 85% in next few years; so it’s a matter of time before corporates firm up fresh Greenfield investment plans. Business and Consumer confidence is on an upswing. Some of the reforms are game changers. The insolvency bill should ensure that we do not see pileup of such massive NPA in the next cycle. Logically, the GST should increase compliance and over medium term significantly enhance tax collections. This should improve India’s tax to GDP ratio and provide the necessary funds to the government for developmental spending. Inflation targeting by RBI and prudent fiscal management should reduce macro-economic volatility and ensure India is cushioned from global shocks. India is a potential high growth economy for a long time to come. Inflection point, such as this, does not happen often and are something that long term equity investors cannot afford to miss. If the real growth which has been below potential for quite some time does accelerate than Indian equities should do well. Though earnings growth has been very sluggish for last decade, corporate profits are at bottom of the cycle and with pick up in real growth, profit growth should surprise on the upside. A broad based economic revival can lead to mean reversion in sector performance as compared to the sharp skew we have seen in favor of few sectors in the stock markets due to narrow growth. There are some headwinds like global trade conflicts, election cycle etc, but India is in a much better shape to deal with them. The path of India’s economic policies has been very consistent since 1991 irrespective of the election outcomes. Investors should reaffirm their long term faith in Indian equities and today is a good time to do that. Performance of the promoter or the schemes of Renaissance Investment Mangers Private Limited have no bearing on the expected performance of the Portfolio Manager. Past performance of the promoter and its affiliates, the Portfolio Manager does not indicate the future performance of the Portfolio Manager and may not necessarily provide a basis of comparison. Renaissance Investment Mangers Private Limited is not liable or responsible for any loss or shortfall resulting from the operation of the scheme. This document represents the views of Renaissance Investment Mangers Private Limited and must not be taken as the basis for an investment decision. Neither Renaissance Investment Mangers Private Limited nor its affiliates, it’s Directors or associates shall be liable for any damages including lost revenue or lost profits that may arise from the use of the information contained herein. No representation or warranty is made as to the accuracy, completeness or fairness of the information and opinions contained herein. The Portfolio Manager reserves the right to make modifications and alterations to this statement as may be required from time to time. What’s your outlook on the Indian economy and capital market in the backdrop of festive season and 2019 general elections? India’s real economy is recovering and investment cycle is making a gradual comeback. Public investments are accelerating at both the central and state government levels and we are seeing healthy recovery in industrial capex. It’s a little early to call out the festive demand trend. But initial commentary by companies and the up-tick in demand from rural India suggests that demand should be healthy during the festive season. Elections should result in increased spending by the government in rural areas and increased thrust on investment projects. What’s your main concern about the current market? The main concern for the present market is rising crude oil prices and the rupee depreciation. Rising crude oil prices impacts the country’s current account deficit, leads to input cost inflation across industries and increases subsidy burden on the government finances. As India is a net importer of crude, any significant spike in oil prices leads to depreciation in the rupee. Also, high currency volatility adversely impacts the market sentiment. Are there opportunities in the current market? Which sectors would you bet on at this point of time? We see value in sectors that are linked to industrialised part of the economy. The India industrial growth was adversely impacted during the past few years due to weak macro environment coupled with disruption caused by demonetisation and structural reforms like GST (the goods and services tax) and RERA (the Real Estate (Regulation and Development) Act, 2016). But the growth has started to return. Sectors that would benefit out of this growth are manufacturing, engineering, capital go­ods, media (both online and broadcasters) and hotels. Cor­porate banks too are well placed as they have reached a cyclical peak in bad loans and corporate credit off-take would accelerate from here onwards. Valuations in this space continue to be conducive for investment. What’s your take on the next phase of mutual funds growth? Can they help investors reach financial goals? Disciplined investment in mutual funds enables an investor to reach financial goals. Mutual funds satisfy the basic investor need for having an exposure to a diversified equity or debt investment portfolio. The increased market volatility in the recent months (due to both global and domestic factors) has resulted in mutual fund flows moderating. That said, shift of household savings from non-financial assets to financial assets and within financial assets, increased allocation to direct equities and mutual funds (versus bank fixed deposits traditionally) is a structural story. Where do you see the alternative investment funds (AIF) in India two-three years down the road, in terms of investments made? There are several opportunities emerging in the alternate investment space, which were not the case till couple of years ago. The AIF industry has evolved and is growing. There is an opportunity for experienced fund managers to build a scalable business in this space. In the coming years, the demand for AIFs would grow exponentially with evolution of the market and demand for customised portfolios by sophisticated investors. What’s the difference between traditional MFs and hedge funds? In the hedge funds space, you can take the absolute return approach compared with mutual funds, which are relative. Since hedge fund-run customised portfolios meant for evolved investors, portfolios are concentrated, which means around 15-20 stocks against a mutual fund portfolio that could hold 40-50 stocks. How do you pick your investments? Do you use technical analysis or fundamental data? We rely exclusively on fundamental research for making own investments. Investor should follow a disciplined investment process. While the near-term issues might increase the market volatility, the long-term fundamental of the economy is intact. Long-term investors should use the current market volatility to add good quality franchisees when they come to reasonable valuations. You have worked in renowned mutual funds. What was the reason behind setting up Renaissance Investment Managers? Is there an unmet need you want to fulfil? It’s been a great journey over the last 20 years for me with the mutual fund industry. I started my career with UTI Mutual Fund in 1997 which was the largest mutual fund in those days and had an opportunity to be part of the setup team at Axis Mutual Fund. Axis Mutual Fund gave me an opportunity to be part of a team to start an asset management company from scratch and build it into a scalable large AMC in a competitive environment. The Alternate Investment Management space is in its early stages of evolution in India and I believe there are significant opportunities as the segment evolves. Renaissance Investment Managers is being set up to meet the investor needs for alternate investment products. How has the Renaissance Mid Cap portfolio and Opportunities portfolio performed? This has been a challenging year for markets with significant volatility and sharp corrections in midcap and small cap stocks. Our funds have done reasonably well in this environment of turbulence. Renaissance Midcap portfolio has returned -3.9 per cent since inception (January 1, 2018 to August 31, 2018). On a since-inception basis, it has outperformed its benchmark by 1.8 per cent. Renaissance Opportunities portfolio has returned 2.0 per cent since inception (January 1, 2018 to Aug 31, 2018). You have talked about a Nifty Fifty Bubble. Why do you call it a bubble? In the recent years when the overall earnings growth of the market was muted and liquidity was favourable, investors have been focusing on good quality companies that could deliver superior growth in an environment of weak macro growth. All these businesses have witnessed a significant re-rating with P/E multiples expansion. Most of these stocks have become over-owned and overvalued now. Current valuations do not take into account the competitive intensity in these businesses, pick up in commodity prices and a rising interest rate scenario. Hence the implied earnings growth based on current valuation levels is not sustainable. With favourable global liquidity scenario reversing and improving macro environment resulting in better growth prospects in some cyclical sectors, one would see investors changing their portfolio allocation. Thus, for an investor holding these stocks, the future returns will be far lower than the historical returns. We believe that the Indian equities is currently experiencing the “Nifty – Fifty” bubble that the US had witnessed in the late 1960’s to early 1970’s. We have recently seen a decline in NBFC stocks. What is happening? Are NBFC stocks attractive after the correction? The rally in NBFC stocks have been mainly driven by a favourable interest rate and liquidity scenario. Most NBFCs rely on banks loans for a large part of their funding and further compete with the same banks on the retail and commercial lending space. This model becomes unsustainable in a rising interest rate environment. Further banks would become more conservative in their lending practices to NBFC post the recent IL&FS debacle. This liquidity squeeze would see loan growth in NBFC space moderating and asset quality deteriorating for select NBFCs. The correction in NBFC stocks is a reflection of these investor concerns. The coming times would differentiate the well-managed franchises from the also-ran. Where are you seeing 'value' in the listed Indian space? We see value in the sectors linked to the industrialised part of the economy. Industrial growth in the economy was adversely impacted during the past few years due to weak macro environment coupled with the disruption caused by demonetisation and structural reforms like GST and RERA. We believe that growth has started to return. The sectors that would benefit out of this growth are manufacturing, engineering, capital goods, media (both online and broadcasters) and hotels. Corporate banks too are well placed as we believe that we have reached a cyclical peak in bad loans and corporate credit offtake would accelerate from here onwards. Valuations in this space continue to be conducive for investment. Coming to MFs, it has attracted a lot of interest from retail investors. But the latest figures show that equity net flows have been falling. Has the appetite for equity MFs passed the cyclical peak? There has been a visible pickup in mutual fund flows (both lump sum investments and SIPs) post demonetisation. This has also coincided with the best periods for equity market returns in recent years. Increased market volatility in the recent months (due to both global and domestic factors) has resulted in some of these flows moderating. That said, the shift of household savings from non-financial assets to financial assets and within financial assets, increased allocation to direct equities and mutual funds (versus bank FDs traditionally) is a structural story. Are interest rates on an upswing after a low-rate regime for quite a while? Yes. Most global central banks are moving away from the easy liquidity regime and hiking rates as there is increased confidence in global growth returning. This coupled with rising commodity prices and stronger US dollar makes case for the Reserve bank of India to hike policy rates. Are there any sectors or stocks that you are avoiding at the moment? Why? We are avoiding the consumer staples sector as the valuations have become unfavourable. We are also avoiding NBFCs as we expect the bank funding to NBFCs to dry up and asset quality to worsen in this space. India’s economic growth has been below potential for over 4 years at a time when she is on the ascending curve of demographic dividend. There is a need to proactively manage the simultaneous multi-dimensional transition of the Indian economy to provide the much-needed Escape Velocity. An object (economy) needs significant thrust and accompanying velocity for escaping from one orbit to other. Given the potential of the Indian economy, she needs significant velocity to accelerate its growth and change her orbit from moderate growth to sustainable high growth economy. Before understanding the various transitions, Indian economy is undergoing, let’s step back and look at the history of economic transitions globally. In the context of world history, India is a relatively young republic and amongst the last large economy to gain independence. The most successful and resilient economic model of the world is that of USA which was also at some point in history, like India, a British Colony. But over the last century, it has emerged as the leading economy of the world. At the time of its independence (1776), the US was nothing more than a nation of four million people, mostly farmers and slaves, inhabiting a miscellany of former British colonies along the Atlantic rim of North America. It was only in the 1830s and the 1840s that the first industrial revolution began to change the nature of production, travel, and commerce in America. Steam engines began to replace waterwheels. The age of canal building came to an end and railroads sprang up, linking cities, regions, and then, just after the Civil War, the Atlantic and the Pacific edges of what by then was a continental nation. The cotton gin, along with the steamship, enabled farmers and land lords in US to switch from tobacco, rice and other crops and to specialize in producing cotton for the machine-powered textile mills of Britain. By the mid-nineteenth century, the cotton-rich US was to industrial Britain what Saudi Arabia and the other oil-producing nations became in the late twentieth century to the industrial nations of the West and East Asia—the source of the key industrial raw material. All the inventions that drove the first and the second industrial revolution across the world happened outside of US. Britain led the world in the adoption of steam-powered manufacturing, railroads, and the shift of its population from agriculture to industry. German researchers invented the gasoline-powered and diesel-powered engines and produced the earliest automobiles and airplanes. German researchers also led the world in pharmaceuticals and innovative chemistry, including chemical fertilizers that transformed world agriculture. Yet the US did an incredible job of adopting and adapting these innovations to drive its economic growth. Beginning In the early 20th century, 150 years after its independence, the US could lead the world into inventing technologies that could drive the next wave of global industrial revolution. The research funded by the US Defense Department during World War II and the early Cold War invented technologies that laid the seeds of the third industrial revolution -computer technology, the jet and the container ship. In over two centuries since its independence the US economy went into successful transition from an agrarian economy to an industrialized economy to the information technology economy. Despite competition from Europe and East Asia, including industrializing China, the United States maintained its economic primacy into the twenty-first century, with the third largest population in the world, an economy accounting for a quarter of global gross domestic product (GDP), and the privilege of having the dollar serve as the global reserve currency. While the US had the luxury of time and could transition the economy in a step function from agrarian to industrial to technology, given the rapid evolution of technology and the fact that India got its independence late in 1947, India needs to manage the simultaneous transition of the three sectors of the economy to achieve economic supremacy. Fifty percent of Indians are still employed in agriculture and it generates only 17% of India’s GDP. This compares with the fact that in 1815, 95% of Americans were rural, living on farms as compared to today less than 2% of Americans live on farm. The agricultural productivity in India is only 15% of the industrial productivity. India needs to deal with the challenges of the agriculture sector by improving the productivity of the agricultural sector multi fold on one hand and at the same time support massive shift in labour from agriculture to manufacturing. India’s industrialization got a massive boost from the economic reforms of 1991. With liberalization of the economy, abolition of the license raj and India’s entry into WTO, the industrial economy has made good progress over the last 3 decades, yet it lacks scale from a global perspective. The industrial sector employs only 22% of India’s labour force. China manufacturing renaissance in the 20th century was driven by the same strategy the British adopted in the 19 th century to kill American manufacturing by providing huge subsidy to domestic manufacturers and making exports at a loss to kill the nascent and vulnerable manufacturing in other parts of the world. India needs to get its act together and find its own strategy to leap frog Indian manufacturing to the pole position in the world. China is undergoing an economic transition from an investment driven and manufacturing led economy to technology driven and consumption led economy. Also, Chinese manufacturing is facing headwinds due to peaking demographics, rising wage cost and environmental issues and China is gradually exiting low end manufacturing. India needs to take the baton from China and emerge as the leading low cost manufacturer on a global scale to meet its own growth and developmental needs. And yet at the same time, India needs to take initiatives towards scaling budding hi-tech manufacturing across various industries and promoting research and development. The traditional technology companies of US – the Microsoft, Apple, Google dominated the world until the new gen technology companies emerged. But China, not to be left behind in this technological shift, is fast catching up with the new gen US technology companies and for the likes of Amazon, Facebook, Uber, Tesla; China has Baidu, Alibaba, Tencent and Didi Chuxing. China’s innovation is moving away from copycats and counterfeits as domestic Chinese firms innovate rapidly and China is expected to close the innovation gap with the western world by 2020. No wonder China is home to 89 out of 262 global unicorns, next only to US, and leads the world in mobile payments and fintech start-ups. India cannot afford to miss the technology driven shift globally and needs to aggressively adopt and adapt these technologies to drive its growth. Every country has followed its own unique path of development and economic growth model. As that engine of growth peaked, those economies peaked. US is the only economy which has shown resilience to transition from an industrial economy to an information technology economy. The Indian economy needs to change the orbit. And nothing less than that should be acceptable given the tailwinds of demographic dividend over the next 20 years. The 3 transitions if managed deftly can provide the much needed escape velocity for changing the orbit. As India changes it orbit and emerges as the third largest economy in the world over the next decade, it will entail exciting investment opportunities for investors across the various segments of the economy. Given that 50% of Indians still work in the agriculture sector and the pivotal role it plays in Indian politics, Indian governments are seized by the challenges in the agriculture sector and this government has taken some decisive steps towards improving the health of the sector. For the first time, India has introduced a crop insurance scheme for the farmers to mitigate the weather related risks. Also, there is constant endeavour to improve the crop productivity through better usage of seeds and farm mechanisation and to improve farmers’ access to credit. The developments present multi-year growth opportunities for investors. China has seen sharp increase in wages over the last 5-7 years and is not the least cost producer anymore. China’s base salaries across all job grades are between 64% and 100% higher than in India. India needs to build on its reputation as the emerging cost-competitive labour market. The government has been focussed on encouraging domestic manufacturing in India with their “Make in India” program. India shall emerge as the low cost manufacturing capital for the world and this shall entail significant opportunities for investors across the value chain including manufacturing, supply chain, logistics etc. India has been known for its IT Skills and Indian IT services companies are large global Fortune 500 companies. The technology revolution and emergence of Social Media, Analytics and Cloud is giving way to emergence of new generation technology-led Indian companies with huge investment opportunities. India is already home to 10 Unicorns and that club is growing at a fast clip. As India undergoes this transition, there are many structural trends at play for investors. With rising per capita income, Consumption in India is going to be a multi-decade story across discretionary consumption and staples. At the same time, given the under-penetration of financial services, this sector across the board including banking, asset management, life and general insurance, etc. shall witness strong growth over the next 20 years. Thus, as India makes its own economic transitions and accelerates its growth curve, it presents a compelling growth story for long term investors. Pankaj Murarka is the founder and drives the investment process at Renaissance Investment Managers. He has over 21 years of experience in Equity Research & Fund Management. In his last role, Pankaj was associated with Axis Mutual Fund as the Chief Investment Officer (CIO) managing over $2bn in Indian Equities. He was also awarded as Best Fund Manager – Runner up Award for Axis Midcap Fund by Outlook Money in 2014. Pankaj has also worked with Merrill Lynch as India Portfolio Manager for Strategic Investment Group, Rare Enterprises, MotilalOswal Securities and UTI Mutual Fund. Pankaj Murarka, the founder of India Next Fund, says manufacturing, engineering, capital goods and media are sectors witnessing change. Why have you launched a fund at this time when the outflow of FPI (foreign portfolio investors) money is at a record high and there is uncertainty due to upcoming assembly elections? The answer is in your question. When the risk is higher or the fear is higher in the equity market, it is then that you get the best price. The point of highest pessimism is also the point of most favourable risk zone. But aren't you worried that there are risks involved? Our view is that the Indian economy has gone through a very bad phase through the last four or five years. We have gone through an industrial recession. That is my interpretation. For an industrial recession to happen, production has to contract in two consecutive quarters. Isn't it? I look at it differently. The definition you cited above applies to advance economies, not India. If you look at India’s IIP (Index of Industrial production), average growth from 1991 to 2017 has been 6.3 per cent, whereas in the last 5 years it was just about 3.5 per cent. So, I call it an industrial recession. If there's an industrial recession going on, what makes you launch this fund? I believe the Indian economy is at an inflection point, where growth has started to return. The reason for the decline was two back-to-back failed monsoons in 2014 and 2015 and while we were recovering from it, we had demonetisation, RERA and GST. And we expect gains from these structural reforms in the coming 8-12 months. Do you think investors would buy that Indian economy is on a reviving mode? We are already noticing their traction in the fund. You said that industry has been in recession for the last five years, but even then stock markets were performing well. Is there a disconnect between the real economy and stock markets? If it was artificially up, isn't it poised to go down? If you look at the stock market, it has been moving on two tracks. So, India experienced an industrial recession but fortunately, we never experienced a consumer recession. In the last five to six years, consumer spending has been doing well, so all the consumer-oriented businesses --retail banks, retail NBFCs, consumer staples and consumer durables -- have done well. Whereas, the industrial part of the domestic economy has not done well. Will you look at equity or debt or both? Our core skill set is equity. I have been an equity investor for the last 22 years. Will the fund also invest in indices? No. We are active fund managers and we believe in buying stocks. Is it going to be only stocks or would you look at the commodity market too? Only stocks. Our focus is on businesses related to the Indian economy. The sectors that are witnessing change are manufacturing, engineering and capital goods, media, both online and broadcasters, and hotels. Earlier, we were not positive in real estate prices, but RERA will be a game changer in the near future. As a result, we like selected real estate stocks. I think we are at the cyclical peak of bad loans. For an investor with a medium-term perspective, there are lots of opportunities around the theme of Indian economy and one should buy on dips, says Pankaj Murarka, Founder, Renaissance Investment Managers. He was talking to ET Now. The fall in the broader markets is apparent. How do you see it? We are seeing clear sign of capitulation when it comes to the midcap and small cap space and that is something which was long overdue. Last year, we had phenomenal move in midcap and small caps. A lot of midcap and small cap stocks have gone up 3x or 5x irrespective of the underlying fundamental and there was a clear disconnect between the underlying fundamentals and where the price action was. A lot of this price action was driven without an institutional participation. It was largely retail and HNI participation which was driving all of that. We are clearly seeing an unwinding and a capitulation there. How much of this selling in midcap, would be the impact of this mutual fund scheme rejig which is taking place in the market? It might have some impact but I do not think that is the only thing that is driving the entire selloff. There was a magnitude of froth that existed in all these midcap and small cap stocks. We had a situation where the midcap and the small cap indices were trading at about 40% to 50% premium to your large cap indices. We have not seen a follow-through in terms of earnings in a lot of those names. Clearly the growth expectation that were priced in into lot of those midcap and small cap stocks were too high and we have seen some round of disappointment there. There was a degree of froth in the way retail and HNI participation was happening. So, it is largely unwinding of positions. Valuations in consumer staples is at a historic high. HUL is trading at some bizarre PE multiple, Titan at 60-70 times, Jubilant 40-50 times, Colgate Palmolive 21. I do not track PE multiples, but it has to be out of sync. TCSNSE - 0.32 % PE multiple almost 25 - 30 times. How come nobody is talking about rich valuations in these stocks where we know the growth is not going to be in line with what the underlying strength. PE multiple of 70 times for Titan means that everybody is assuming that the company will only grow at 70% for god knows how many years? What has happened is over the last five or six years, the basket of growth stocks which have been delivering very consistent growth in India has narrowed and we have had too much of money chasing those baskets. These are large companies. For example, when you are talking about Titan, it used to be one of those midcaps but it is an index company and all these companies despite their size, are still growing in high teens or more than that. A Titan is expected to grow 30% over the next two years and you are seeing a huge consolidation that is happening in the whole segment there because of change in government regulation. The result: the stronger or the bigger player is becoming bigger. The valuations in the context of the growth over the next two years are probably well justified and are probably trading at some premium but unless and until growth becomes more broad-based, you will have a situation where too much of money will chase a narrow basket of stocks and their valuations will continue to remain elevated. What amazes me is that three years ago my view was that broad-based economic recovery was coming and with every quarter, forget the recovery being broad-based, the growth is getting narrower and narrower. If I had 150 stocks where I was confident of a 1-20% growth, that number has become 25-30. In your own words the growth visibility is only restricted to maximum 40-50 stocks. What is the story here? Things are changing at margin. Last three or four years, India has gone through a difficult economic environment where we had to deal with a situation where we had broken balance sheets, twin deficits and we were coming on back on two successive failed monsoons. Also, you should bear in mind that last year was a year when in a matter of 12 months, we have done some of the biggest reforms that India has ever seen in India's economic history in a matter of 12 months and the GST followed by RERA and IBC. All these have been hugely disruptive. But today we have reached a situation where the real economy has started showing positive traction. The impact of disruption because of GST and demonetisation is behind us now and we have started addressing the twin balance sheet issues. The core sector of the economy has started responding pretty positively. If you look at the fuel consumption data, the electricity data or the freight indices they are all showing pretty strong growth over the last six or eight months. If you look at the airline passenger traffic, that is growing at 20%. There are pockets of economy which have already started recovering. The way I look at it is India has actually been into an industrial recession for the last four years but now we are nearing the end of it and we are seeing positive traction in the real economy. Going forward, growth will become far more broad-based than what it has been for the last three years. One highlight for the quarter gone by has been some of the so called consumption names where the unorganised market is shifting to the organised market. We have seen that in Sheela Foam, Britannia. How are you betting on that theme? That is bound to happen. GST is the mother of all reforms and now as they are implementing those e-way bills. The point is we have taken all the pain of disruption caused by GST. We are yet to see the gains of it. The gains will start materialising now and the gains are two or three-fold. One, the organised players will have an edge over the unorganised player because the business model of a lot of these small unorganised player thrived on evading taxes. They lose that advantage now. You will clearly see a shift in markets from unorganised to organised player and more importantly, over the next few years, that will take India's revenue collection or tax collection significantly higher. The kind of tax buoyancy that can emerge out of GST grows to underestimating that. That is a fair point. When I started my career, the retail space in India had arrived, Reliance was moving into retail, Kishore Biyani had opened a Big Bazaar. Everyone told me that the kiranawala, the Laxmi Store outside our houses are going to disappear. But they all continue to exist? I hope you are not getting carried away with this theme because the smaller players will always have some advantage. What you are saying is right but what has also changed is that organised retail which was non-existent until 2001 or 2002, today has a 3% market share in India's overall retail, India's retail is so huge and growing because you are adding more and more consumers with more spending power. The overall retail market will keep growing but organised retail, which was zero, is 3% today. Five or 10 years out that will be something like 10% or 12% and probably 15 years out that will be 20%. So that shift is happening but maybe it is not as visible because these are very long-term structural shifts which take 20 years to play out. So that story will play out. What is the one word of caution you would want to exercise in a market like this? Given all the macro variables, given rising oil prices, how should investors approach their portfolio to protect their downside risk? We do have some macro headwinds, especially from rising oil prices but at the same time, we also need to be cognizant of the fact that last time around, when oil prices was at $80 or $100, India was a trillion-dollar economy. After almost seven years, India is a $2.2-trillion economy. So, while higher oil prices do create some headwinds for India, it is far more resilient to deal with it this time around. More importantly, the good thing is globally growth is accelerating and Indian economy has reached a stage from where growth is accelerating. So, I would say investors should look upon this correction as an opportunity to buy into some good quality names which are related to domestic economy because that is where it has started showing signs of recovery. India's investment cycle which was completely broken over the last four or five years, is getting back into shape and we see a lot of value and some cases of deep value there. Investors should be careful or cautious about the broader mid-cap and small cap basket because that is where there is a lot of froth but aside from that, I find a lot of opportunities for investors because the Indian growth story still remains very much intact and from a global perspective, one of the most exciting growth stories to bet on. 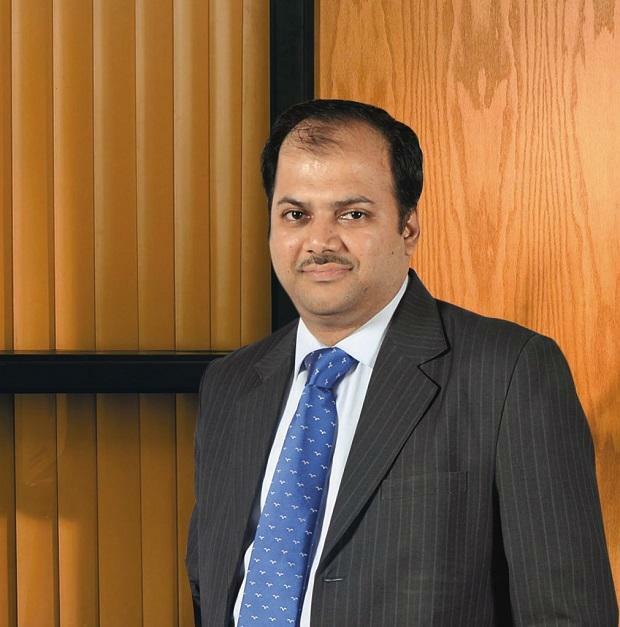 Talking to ET Now, PPankaj Murarka , Founder, Renaissance Investment Managers, says we are at present in a two-speed bull market and that he is excited about capital goods, corporate banks, consumer durables and select pockets of healthcare especially pharma CRAM space. The markets have been relatively volatile. As someone who looks at more on the fundamental side, how have you analysed the recent correction? Do you think this particular dip should have been bought and is there more to go or is bulk of the correction already over? In the short term, it is always very difficult to time the markets because in the near-term, markets are driven by news flows and momentum but that is the nature of equities and asset class. It is an asset class which is not linear but tends to be volatile. If you are an investor with a medium to long-term perspective, then volatility can always work to your advantage. For investors like us volatilities are great because it gives us an opportunity to buy into some good quality businesses at lower prices. I am not sure where the markets are headed over the next few weeks but for an investor with a one-to-two-year perspective, this is a good time to go and invest into markets. There are some positive signs in the capital goods sector. Capital goods are the deep cyclicals and we did see good commentary from L&T this quarter. Even SKF Bearings' Mr Joshipura had a very good commentary. Do you believe that deep cyclicals like these are set for interesting times because we are on a cyclical recovery? Yes, certainly because last year, the economy did get impacted by a lot of reforms especially the GST and RERA. But now, the economy has started stabilising. We have seen concrete signs of recovery in the economy. If you look at the core industries be it metals, power, fuel consumption, container data all are showing recovery. The commercial vehicles numbers have been pretty strong and core industries have been showing pretty smart recovery and the data has been pretty consistent now for almost five or six months. We are also seeing initial green shoots of recovery in the investment cycle. Infrastructure is one where we have seen significant thrust or impetus in terms of capex from the government side but that is now spreading to other sectors as well. Oil and gas is another sector where we are seeing announcements of some large investment programmes which will fructify over the next few years. Likewise, we are seeing capex in the metal industry as well and that is very much visible in the order intakes for the entire industrials and the capital goods sector which has been pretty strong for the last two quarters now. The Indian economy is on the path to recovery. The growth has been significantly impacted over the last few years because of multiple reasons and given the fact that we have executed structural reforms and we have taken the initial pain of that. The next few years will reap the benefits of the structural reforms. Industrials and capital goods sector should be one which should be a significant beneficiary as recovery gains momentum. What are your thoughts on metal stocks, especially steel stocks JSW, Tata Steel - for the big ones, generally the trend is emerging that they have come under pressure because of aggressive bids being put for NCLT candidates. On the other hand, their numbers were quite decent this time and the outlook for external environment is good. How are you placed on the metals as a sector and steel stocks in particular? The metal stocks are more influenced by how the underlying metal prices behave and we have seen a very strong recovery in metal prices over the last year and a half and that is partly driven by the Chinese closure of capacities where China has been closing capacities pretty aggressively and they will be closing another about 5% to 6% capacity this calendar year. As long as that continues, the global demand supply balance is becoming more favourable and the prices should remain stable and that should benefit Indian metal companies. There is a significant degree of existing capacities which are under resolution because they have gone bad. The good thing is that there is a significant amount of gross block on investments because these plants have not been operating at their optimum level and as they get settled through this IBC mechanism, a significant amount of capital which has not been productive for a long while will be put to work and that should be good for the sector and for the overall industry. You are also of the view that earnings are likely to increase from here on, If one were to look at or compare with second and third quarters, what trend do you see for earnings for the fourth quarter? Sequentially, do you expect earnings to keep on improving from here on? Are we on an upward trajectory of improvement for next two-three years? First and foremost, if you see the last eight to 10 quarters, there have been consistent downgrading of earnings quarter after quarter by the analysts. This was one quarter, where we have seen some marginal upgrades into earnings estimates and it appears the earnings have stabilised. We should build on the earnings recovery from here on because when we look at the real economy, it is already showing signs of recovery and the economic recovery which has been very narrow over the last couple of years is actually getting more broad based. We are seeing more and more sectors participating in the recovery. One of the big drags on earnings for the last few years have been corporate banks and the metals. Corporate banks, because of the huge provisioning they had to do because of NPAs and stuff like that and metals because of the sharp correction in the oil and metal prices. But even that has reversed now for the last few quarters. So, metal prices are on an uptick and metal companies have started showing very healthy earnings trajectory. And as far as corporate banks are concerned, they are also in the last leg of their provisioning for the poor asset quality. Over the next couple of quarters, their NIMs should also trough out and as aggregate demand picks up, we should see a pretty healthy recovery in earnings going forward into the next year. Over the next 12-14 months, which are the sector you are most bullish on where the quality of earnings will be much higher compared to what the street is already working with and backed by fundamentals? The good thing is India is a pretty diversified economy and a pretty diversified market. It is a two-speed bull market that we are witnessing through there are pockets of markets where we expect earnings to trough out over the next few quarters. Once that does happen, you will see a sharp recovery in the earnings because today's reported earnings are far lower than the normalised earnings. Corporate banks clearly is one such case in point where the current reported earnings are far lower than what the businesses can do on a normalised environment. That is one segment of the markets, especially around capital goods and corporate banks where we think there could be a sharp recovery in earnings probably over the next few years. There is another segment of the market where there are rock solid businesses which are pretty much secular and which continuing delivering very strong solid earnings growth and that will continue. We could see that in a lot of retail private sector banks or in other segments of the markets around consumer durables and in select pockets of healthcare especially the pharma CRAM (contract research and manufacturing) space looks pretty exciting to us. By now it is more than apparent that the MPC (the Monetary Policy Committee of the RBI) has been behind the curve in cutting interest rates. The prominent concerns expressed by the MPC members for not cutting rates are rising pressure on food prices, inflationary effects of farm loan waivers, HRA under the 7th Central Pay Commission, implementation of GST and unfavourable base effect. A perusal of these concerns reveals that MPC is focused on short-term cyclical factors and its impact on near-term inflation and has missed the sight of the significantly larger trends driving the underlying transformation of the Indian economy and the disinflationary process. India's industrial credit growth has been slowing for the last 7 years and witnessed contraction (-1.9%) for the first time in FY17. For any increase in inflation, there has to be significant growth in industrial credit which seems unlikely given the fact that state-owned banks which have over 70% market share do not have the capacity to lend, are besieged with asset quality issues and are shrinking their balance sheets due to paucity of capital. India's Investment rate has fallen from 34.3% to 27.1% over the last 5 years. There has not been any meaningful job creation in the economy due to lack of investments. The only sector that was creating new jobs was technology driven start-ups. Even that froth has dissipated and they have been gone for huge layoffs as their funding has dried up. Corporate salaries have been growing at lowto mid-single digits for the last few years. Thus, there cannot be a meaningful increase in aggregate demand until the economy creates new jobs. The capacity utilisation in industrial sectors is in low 70's and would need sustained increase in demand for few years before manufactures can exercise pricing power. Food prices are driven by vagaries of monsoon and need proactive policy response from the government in case of crop failures. But for seasonal impacts, the global agricultural commodity prices are at multi-year low and India's food production is at record high. Loan waivers are a reflection of farm level distress in India due to surplus output or bad weather and are unlikely to lead to increase in aggregate demand. Over and above this, the Indian government has had the largest fiscal consolidation in history by reducing fiscal deficit by 2.3% from 5.8% to 3.5% over the last 4 years. It's an axiom that corruption breeds inflation. Emerging economies generally tend to experience high inflation due to persistence of corruption. Reducing corruption has been the pivot of all the policy initiatives of this government. In fact, it has become the core narrative of the government as they keep their eye focused on getting re-elected in 2019. The DBT scheme launched by the government for distribution of subsidies and grants ensures that the funds are transferred to the account of the beneficiaries and there is no leakage by middlemen. This is hugely disinflationary as the beneficiaries spend the money on staples adversely impacting the discretionary demand generated by the middlemen. There has not been any significant corruption case relating to the government in the last three years. This is a big surprise to Indians who have been used to crony capitalism. The real estate prices in NCR region have collapsed 30-40% and yet there is lack of demand because the slush money which easily found it conduit into real estate has been miss ing. Thus, the real estate bubble to the extent it was fuelled by slush money has been pricked and it has significant implications on demand giventhat real estate accounts for 56% of household savings in India. For the lack of corruption Index, MPC members would find it very difficult to measure the impact of these initiatives on the economy. The squeeze in supply chain due to GST and the implementation of RERA has further adversely impacted demand aiding the disinflationary impetus. Finally, it's an accepted principle of money supply that demonetisation by its very nature is disinflationary. Thus, there can be some spike in inflation due to short-term cyclical factors. But until, the aggregate demand in the economy rises in a meaningful and sustainable manner and the negative output gap is closed, inflation cannot increase meaningfully and will undershoot. Inflation targeting requires central banks to look through the short-term cyclical factors and focus on medium-term inflation targets. It seems the MPC members have missed the forest for the trees. Bullish on private sector banks and auto industrials, says Pankaj Murarka , Market Expert. Talking to ET Now, Murarka says we should see a recovery in earnings going forward from the second half of this year and hopefully accelerate going into the next year. Right now, the market is dealing with a lot of global uncertainty. Those parameters are heavy on markets but many people are not very positive about earnings growth. What is your take on this market? If I am a long-term investor I understand you have to invest in markets from a longer term perspective and there is no second thought when it comes to two to three years but how should someone who has a time horizon of one year position themselves in such a market? Earnings have been lacklustre for the last few years for multiple reasons. What has impacted earnings over the last one year essentially has been the earnings debasement in metals and minings and in state owned banks. But we are getting to a stage where probably we are through the earnings debasement cycle. The fact remains that seen in a slightly broader context, corporate earnings as a percentage of GDP used to be something like about 8% at the peak of the last cycle in 2007 and 2008. Today that number is about 3%. That clearly shows the kind of contraction that is happening in corporate earnings but because of the multiple reasons we are at a point where earnings cannot get lower than this. In fact, there are various green shoots which are very encouraging for a medium-term investor and we should see a recovery in earnings going forward from the second half of this year and hopefully accelerate going into the next year. For the medium-term investors, the outlook always remains very promising and any pullback in market should be a great opportunity to buy into it. There is this always thing where some of those investors are taking a slightly more shorter term view on the markets which is like six months to a year. Short-term markets are more like a flip of a coin but if you take a slightly more medium to longer term view, then the outlook is very promising. Stock market investors yearn for bull markets and bubbles. This is the most fascinating aspect of the business of investing. To spot a potential bubble at an early stage in its life cycle and to be able to ride thebull marketuntil the bubble becomes unsustainable and the investment argument translates from truism to fantasy is the most rewarding and exciting part of the cycle of investing.The genesis of any bull market is premised on a logical, credible investment argument followed by a strong surge ofliquidity. It is not unreasonable for investors to multiply their capital during the course of a bull market. During the technology bubble, investors across the world had multiplied their wealth 10-500 times in many stocks even as the investment argument moved from revenue growth to clicks on the website.Coming to the current cycle, as the world emerged from the depths ofdeflationafter the global financial crisis on the back of strong steroid of liquidity injected by central banks, the global growth has been feeble, consumers and businesses have been deleveraging and investments have been elusive.In this backdrop, investors have been focusing on good quality companies that can deliver superior growth (in an environment of weak macro growth). In India, these companies have been across various sectors, such as consumer, NBFC, retail banks, building materials and mortgage finance.The strong growth in these businesses has been driven by good quality management, strong execution, subdued competitive intensity and expanding margins due to weak commodity prices. On top of that, all these businesses have witnessed a significant re-rating with P/E multiples expansion due to follow through of huge liquidity.The valuations of the so-called quality companies have expanded exponentially. These companies have delivered multi-fold returns to investors and P/E multiples have expanded to 30-100 times. But after having seen exponential returns in these companies, dark clouds have started emerging over the so-called growth stocks.In case of consumer staples, stock prices have reached a level where they are pricing implied revenue growth of high teens or even higher in most cases, which is clearly not achievable over the course of the life cycle of the business. This is further compounded by the fact that in many categories, such as soaps, shampoo, hair oils, detergents and tooth pastes, the penetration levels have reached a high of 75- 80 per cent and shall constrain future growth.Also, markets are underestimating the future competitive intensity and fragmentation of market sharein these categories. Additionally, global growth is picking up and so are commodity prices. This could be a headwind for margins, going forward.Besides, central banks, which have committed one of the largest experiments in the monetary policy by expanding their balance sheets, are reversing course and are withdrawing liquidity and raising interest rates. The rising of rates is one of the biggest gravitational pulls of the P/E ratios of companies with high P/Es.Thus, for an investor holding these stocks till perpetuity, the future returns will be far lower than the historical returns, and for interim owners, their best hope is to find a greater fool. The US had a similar bubble in good quality companies in the late 60s called the famous "Nifty Fifty Bubble".In the late 1960s when the economic growth was sluggish, many good companies delivered relatively high growth and their P/Es expanded exponentially. Because these companies were excellent businesses delivering solid growth, they were deemed as impregnable fortress and included the most famous blue chips like Kodak, Procter & Gamble, 3M, IBM, Johnson & Johnson, Xerox etc.By 1972, when the S&P 500 Index's P/E stood at a then lofty 19, the Nifty Fifty's average P/E was more than twice of that, at 42. Among the most inflated stocks were Polaroid with a P/E of 91; McDonald's, 86; Walt Disney, 82; and Avon Products, 65. The sharp rise in oil prices due to the OPEC oil embargo led to a significant rise ininflationand consequently interest rates, pricking the Nifty Fifty Bubble.The Nifty Fifty companies lost significant value and it took investors decades to recover their capital in them from their respective highs. For instance, Xerox fell 71 per cent, Avon 86 per cent and Polaroid 91 per cent, and some of them even ceased to exist (like Kodak, Xerox) because over a period, technology made their businesses obsolete. Thus, it's important to distinguish between great businesses and great stocks.It is the inherent nature of markets to create bubbles and burst them. Markets are like a pendulum that keeps swinging from one extreme to another, from deep value to bubble and do not stop at the centre (point of fair value).Chuck Prince, the erstwhile CEO of Citi, at the peak of the mortgage bubble exclaimed that "we should keep dancing until the music is on". Well, this approach could provide a lot of excitement but could be fatal for the health of value investors. Prudent long-term investors need to escape the dance floor preemptively even if it means missing out on some potential returns.It is important for long-term value investors to stay focused on the intrinsic value of businesses rather than chase momentum.